No…this time, in a good way! A day that didn’t start out as much became very productive. I think my new motto will be…Dig In And See What Happens! I like it! It started out after a not great night of sleep. Ralph isn’t sleeping well due to still recovering from the cold and sometimes that makes for a bad night for me. I realize that the same thing happens when it’s my turn to have a bad night. Share and share alike. I got up and tried to be quiet in hopes that Ralph would go to sleep. Well, he didn’t until about 1:30 in the afternoon. I ran a few errands in the morning, got my Monday Free iced coffe at Dunkin’ Donuts which always improves my outlook. When I got home, I made Ralph’s lunch hoping that would make him sleepy. It worked…finally. I started working on my desk which had serious issues, so much so that there was barely room for me to use the mouse on the computer. I should have taken a before shot, but in truth, I didn’t expect to accomplish this much. I’m pretty excited about this. It may not look that impressive to you, but believe me, it’s an improvement! Picture this with papers and “stuff” falling out all over. 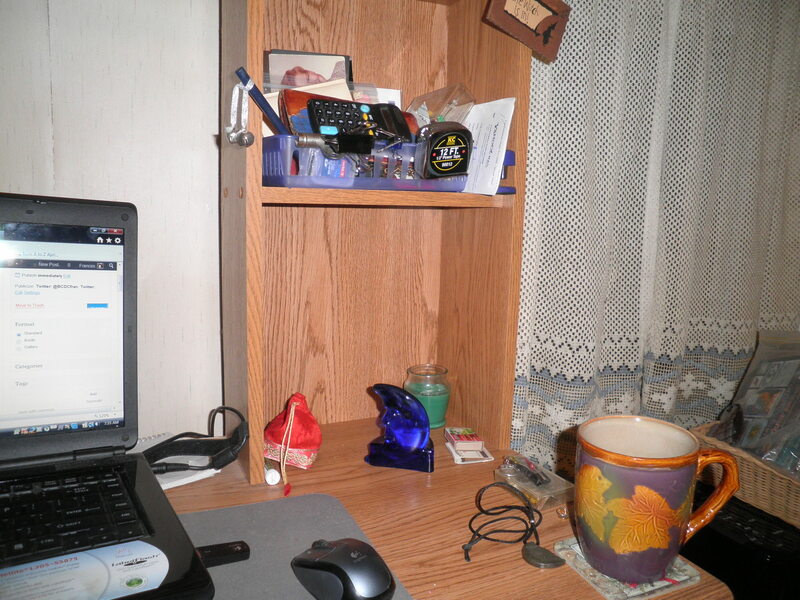 To give you an idea, here’s what the left side of the desk looks like. The good news is that none of the things piled there (I’m ready to shout “Timber!” any minute!) are things from the right side of the desk! It is its own mess! But now that I’ve got the spirit, I hope to get that under control in the next day or so. There’s also an under desk space that needs work. That will be part of the purge as well. It’s tomorrow night so don’t miss it. Maybe this is why I’m feeling that the stars are aligned…It’s that old Moon working her magic! 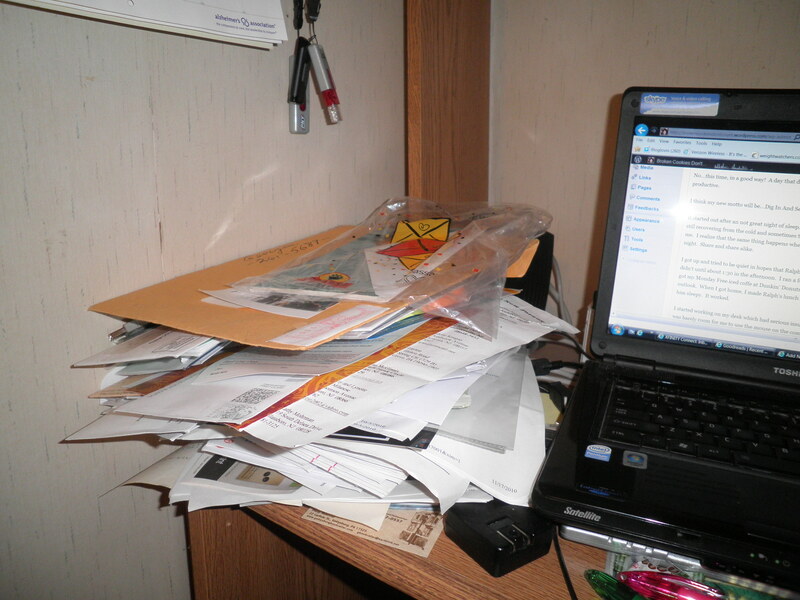 This entry was posted in Uncategorized and tagged sorting and packing. Bookmark the permalink. Wow! as a person who gets excited over what may seem to be little things to others I am very please with yourprogress. Sometimes, you just have to start with one small thing and it goes crazy after that! That’s how I felt two weeks ago when I found the bed in my old bedroom! That will be all cleared again tonight as I wrap the little guy’s advent gifts. Very proud of your “little miracles”! Thank you, Thank you, Miss Ele!! Don’t you just want to sit therer and stare at it??? A beacon of hope and happiness 🙂 I’m staring at my one clean sock today for that. So true, Sue!! It’s amazing when something gets cleaned!! My husbands name is Ralph, I’m the one coughing and keeping him awake and that looks exactly like my computer desk 🙂 We must be sisters!! fran, this is just such a nice blog post to read…i feel like we had a quick morning visit! the 2nd pic of your desk + computer…oh boy!! i just want to come over and help you sort, haha! glad you got throught the right side of the desk – it does look sharp! i hope ralph feels 100% soon – these colds just dig in and hold on!! 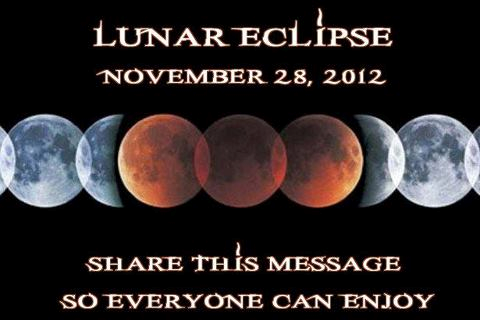 Ooh, now I’m going to go look up when the eclipse is! I love that stuff! Glad oyu got organized! I’m getting there, Stacie! One mountain at a time! I just read that the eclipse won’t be visible in NJ. Boo! Your left space looks a lot like all of my spaces! I was going to say “cool” about the eclipse and saw Stacie’s message. At least the snow was pretty today (and didn’t stick on the roads). We didn’t get any snow here. I’m not ready for that, I have to be honest. A sprinkling is ok, but not like the winter of 2010/2011…that was awful…Glad it was pretty though! I’m not the most organized person ever… 😉 but one of my best friends is super organized so she helped me organize my whole room and it’s made life so much easier! It’s such a great feeling when you get that much done – and is it just me that likes returning to wherever it is just to look at how lovely and clear it is…?! Thanks for saying about the eclipse, I’ll look out for it!